It’s often said by narrow-minded critics in the music industry that a modern rock band can’t dabble in synthesized grooves without losing their edge. The notion arises from what transpired back in the 80s, when a lot of heavy metal and hard rock bands started to incorporate synthesizer into their sound as standardly as they would a guitar or a drum kit and their commercial output became decidedly more watered down as a result. What these critics fail to acknowledge is that we aren’t in the 80s anymore, and the palate of the modern music listener has grown and expanded far beyond that of their parents’. 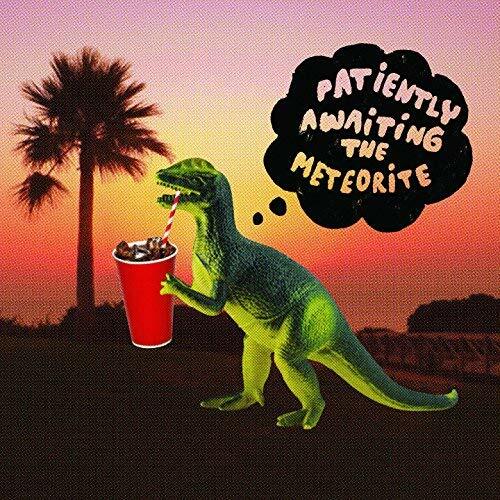 Patiently Awaiting the Meteorite defy the idea that electronically textured heavy music can’t rock as hard as the classics did in their new album Canyon Diablo, which in my opinion could be the finest release the genre has seen in quite some time. The harmonies we find in Canyon Diablo make great use of PATM’s stylish swagger without egomaniacally devolving into predictable, volume-centric pitfalls. Anyone within earshot of songs like “Strange Intuition,” “Electrified” and “Hit the Ground Running” is invited to take a ride on the moody, unhinged rails that its players’ dispatch with impunity. It’s rare to find a record that you can play from start to finish without encountering some degree of filler nowadays, but Canyon Diablo progresses so fluidly between its ten unique songs that when experienced in its entirety it takes on a totally different meaning than when broken apart into separate tracks. As conceptual a piece as Canyon Diablo is, there’s still plenty of multidimensional contrast between the tracks for us to see that PATM are anything but a one trick pony. Take “Don’t Lay Your Fate” and “Keeping My Head Above the Water” for example. “Fate” is a pointed, Nick Cave-esque elegy that swings just enough to keep it from becoming undyingly dark, while “Water” is a focused folk rock ballad, grinding away at a string of lyrics that crush us under their brooding weight. Both songs are ominously magnetizing, but you wouldn’t necessarily expect to find them sitting on the same album together. If all of their upcoming releases are as vastly explorative as this one is, there’s no doubt in my mind they’re going to rise to the top of the rock n’ roll hierarchy in no time. I’ve listened to a lot of really fascinating records this year, but none of them blew me away the way that Canyon Diablo has. I wasn’t sure what to anticipate out of this album, which was described to me by a colleague as vintage punk sharpness mixed with the freeform nature of an ambient pop release, but having given it my full attention over the course of the last week I can only conclude that trying to assign it pre-existing labels is pointless. Patiently Awaiting the Meteorite are carving out their own path in the world of pop, and their style is truly their own. The bottom line is that whatever you want to call the music they play, it’s a more than worthy acquisition for anybody who is keen on premium audio.